Nikon has issued a Technical Service Advisory in which it says it will inspect, clean and replace the shutter assembly and related parts of customers' D600 cameras free of charge. Nikon will also cover the cost of posting the camera to the service centre as well as its return. This service is offered for all D600 cameras, regardless of whether they are in or outside of their warranty. This move is designed to deal with the issue of dirt building up on the D600's sensor. 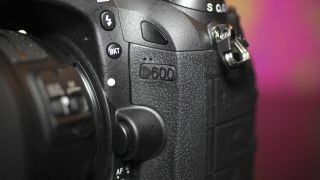 The Nikon D600 was widely welcomed as an enthusiast-level full-frame SLR when it was announced in September 2012, but shortly after launch some users reported seeing dirt on the sensor. While dirt isn't uncommon on camera sensors, it appeared to build up more readily on some D600 sensors than would be expected. In November 2012, photographer Kyle Clements produced a timelapse video which shows how dust accumulated on the sensor without changing lenses. Nikon acknowledged that there was a problem with "dust" on the D600's sensor in February 2013 and advised users to clean the sensor following the instructions in the camera's manual. Any users who were unable to do this were requested to return their camera to a service centre for cleaning. Although nothing was said officially, the finger of blame for the problem was pointed at the D600's shutter. This seemed to be confirmed by the arrival of the Nikon D610 in October 2013. This camera is almost identical to the D600, but has a different shutter mechanism. Our tests of the D610 indicate that it does not suffer from the dirty sensor problem. Details of how to contact your nearest Nikon service centre are available from the Nikon UK, Nikon US and Nikon Australia websites.